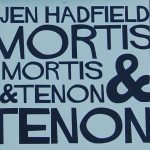 Jen Hadfield was born in Cheshire, England, to Canadian and British parents. She has a BA from the University of Edinburgh and an MLitt (Distinction) in creative writing from the Universities of Strathclyde and Glasgow. Her first collection, Almanacs (2005) won the Eric Gregory Award. 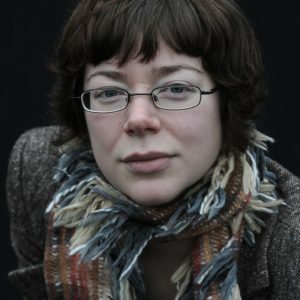 Her second collection, Nigh-No-Place (2008) was shortlisted for the Forward Poetry Prize and won the T.S. Eliot Prize, making her the youngest poet ever to win this prestigious award. Her third collection Byssus (2014) is named after the tough threads a mussel uses to attach itself to its bed and explores notions of connection and belonging. Hadfield is also a visual artist and bookmaker. In 2007, she received a DeWar Award to travel to Mexico and study Mexican devotional folk art. She is a member of the artists’ collective Veer North and provided photographs for the collaborative artists’ book The Printer’s Devil and the Little Bear (2006). Further honours and awards include a Scottish Arts Council Bursary Award, and residencies with the Shetland Arts Trust and the Scottish Poetry Library. In 2014, she was chosen by the Poetry Book Society as one of the Next Generation of UK poets. She is currently writer in residence at Glasgow University.